As an approach to the modernization and innovation in construction, HomeChoice Planners and Construction Corporation has ventured in the Lightweight Concrete Technology as an alternative to the traditional concrete cement. This technology is also known as the Portafoam System manufactured by DRN Concrete Resources, a company that specializes in Industrialized Building System. For the company to have further insight and knowledge on the said technology, they have invited one of the known consultants of DRN Concrete Resources namely Dr. Norizal Bin MD Noordin. This invitation of DRN Resources’ consultant has made a way for HPCC to collaborate with other organizations; introducing the new technology to different entities. During Dr. Norizal’s visit, meetings and speaking engagements were part of his itinerary. 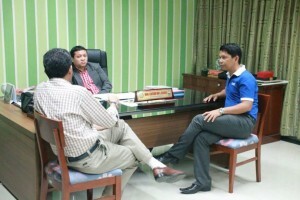 On his first day, a courtesy call at the Vice Mayor’s office was scheduled. Dr. Norizal was able meet and greet Hon. Ian Acenas last August 17. 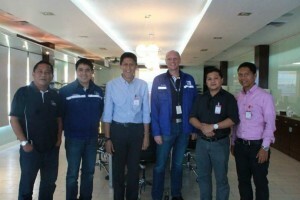 For the next days, Dr. Norizal visited and had a tour around the leader in advance coal power generation technology, known as Steag State Power Inc. The said company was located at Villanueva, Misamis Oriental. The establishing of rapport at Steag State Power Inc. was a way of HPCC to have future collaboration with the said company thru DRN Resources’ technology. Aside from scheduled meetings, HPCC also arranged two speaking engagements for Dr. Norizal; seminars for students and local contractors for the same purpose; to disclose the use of Lightweight Concrete Technology. Last August 19 was the International Forum for all 5th year Civil Engineering and Architecture students that was held at Capitol University. 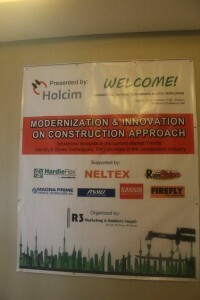 This event was collaboration with Capitol University and James Hardie Philippines that served as the major sponsor. 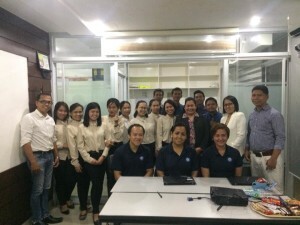 The attendees were students from Mindanao University of State and Technology, Central Mindanao University, Xavier University, Cagayan de Oro College-Phinma and Liceo de Cagayan University. The other seminar was held last August 20 at Prawn House Restaurant for all contractors and builders of Cagayan de Oro City. 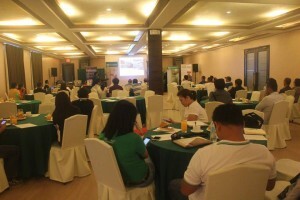 James Hardie Philippines was also a partner of HPCC for this event. Every event and activity attended by DRN Resources has been a success. Its purpose of imparting knowledge regarding the new technology was fulfilled. And HPCC believes that this partnership will eventually expand to future endeavors. HPCC would like to thank everyone who made every event possible. Looking forward for the continuous support and partnership! What is ISO? International Organization for Standardization is an independent, non-governmental membership organization that gives world-class specifications for products, services and systems. They also ensure quality, safety and efficiency; an instrument in facilitating international trade. The international standards that they have set make things easily work; ensuring that products and services are safe, reliable and of good quality. To business, ISO standards are strategic tools that reduce costs by minimizing waste and errors. It also increases productivity. 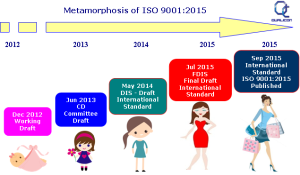 The ISO group has already published over 19 500 International Standards. And it caters to almost every industry; technology, food safety, agriculture and healthcare. The ISO group has published various International Standards; one of its most popular and widely used standards is the ISO 9001:2008 Quality Management System. This quality improvement standard has already over one million certified organizations in 180 countries worldwide. This kind of system offers great benefits that will definitely give the company a boost in their management system. With ISO 9001:2008, the company can save money and time through quality management practices that can increase their organizational efficiency, productivity and profitability. They can minimize risk by consistently achieving level of quality defined by standard, thus ensuring that products and services are less likely to fall short of customer expectations. Also, it can increase the company’s competitiveness that will attract investors and lowers trade barriers to the business. And gain market recognition which can help establish the company’s presence as a supplier when entering a new market. 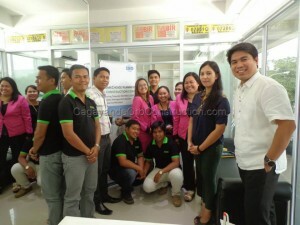 ISO’s Quality Management System is what HomeChoice Planners and Construction Corporation has been using now. They chose this kind of system to be able to consistently meet and exceed their customers’ expectations. The company aims to attain significant improvements in organizational efficiency and product quality by minimizing waste and errors, and increasing productivity. HPCC aims to have an effective management, and with this, the company shows their dedication to optimizing their operations by demonstrating their commitment to quality, safety and security. Having been certified for the Quality Management System gave HPCC the opportunity to have full visibility of their processes and resources. It has also emphasized their commitment to sustainability and dedication to raising employee motivation and customer satisfaction. ISO Certification process has been a long and winding road for HPCC. It wasn’t an easy process but with the glory of God, guidance of the consultants and auditors, as well as the staffs’ hard work and motivation, HPCC was able to pass the certification process and is now ISO Certified. Kudos! HomeChoice Planners and Construction Corporation has always been open for new opportunities. Every new undertaking that comes to its way, the company strives hard for its improvement. And because HPCC aims to further improve their services, the company has decided to embark in another venture. It was May of 2014 when HomeChoice Planners and Construction Corporation has decided to take a step for greater opportunity. This opportunity was applying for an ISO Certification. For this application to work, HPCC has invited a consultant group that would assist them in the certification process. AGF Consulting Group has been HPCC’s consulting buddy when it comes to the steps and processes needed for the certification. It was six months of working hand in hand with the consulting company. 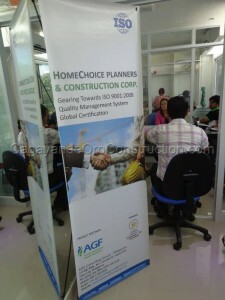 Almost every month, the AGF group would come and visit HPCC to conduct assessments and mock audits. And after six months of consultation with AGF, they have finally declared that HPCC is ready for audit with the certifying body. The recommended certifying body by AGF group was the TUV-SUD Company; a German company that specializes in auditing and system certification, testing and product certification, inspection, knowledge services, training. 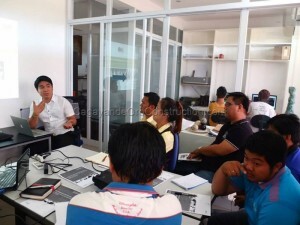 Almost all kinds of certification and training are catered by TUV-SUD Company. For HPCC’s ISO 9001:2008 Quality Management System Certification, TUV SUD did the auditing and system certification for the company. The first audit was on December 2, 2014 and the second one was conducted last 28th of January. The certification process was not that easy though. Overtime work, pressures and stress were all part of the process also. But all of those have been paid off when HPCC finally received a recommendation from the certifying body. It was such an overwhelming moment for HPCC when they got the approval for ISO certification from TUV SUD Company. There may be a lot of pressures and stressful works during the process but it was all worth it. This entire venture is HPCC’s way to further its vision of becoming the leading company in providing quality houses. Because HPCC aims to continually improve its system, the ISO certification is one of the better ways that would help the company in having a quality management system. 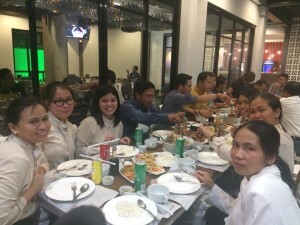 Congratulations to HomeChoice Planners and Construction Corporation for a job well done! Cheers to you! All glory and praises to God! The construction industry is slowly making its way into a full blown industry here in the Philippines. More and more construction agencies are booking jobs everywhere in the country. But, there is one agency that has proven to be the cream of the crop. Homechoice Planners is the name of the firm. But why choose Homechoice Planners especially when it comes to CDO realty? The firm caters to everyone who has the need for top notch interior designing needs. The firm also knows the need to have high quality results hence interior designers know full well that working with Homechoice Planners can get the job done in time without compromising the quality of the result. Homechoice Planners also has a wide array of top quality architects who bring their A game to the table when it comes down to business. Expect knowledgeable architects who know what their clients want with the help of their skills. Expect state of the art technology when it comes to working with Homechoice Planners. These technology will be incorporated to every project that the client needs such as the New Building Innovation Technology wherein it has been used in different highly developed countries like Australia, Abu Dhabi, Bahrain, and more. Years ago, such technology would not be applicable here in the Philippines yet alone in Cagayan de Oro but now, Homechoice Planners are up-to-date with the modern technologies that are being used worldwide today. With that, there is no reason not to choose Homechoice Planners for your construction needs in Cagayan de Oro City. One might wonder how the housing construction industry in the Philippines directly affect the entire economy of the country. The answer is quite simple. It directly affects the country through the job opportunities that the industry provides. An entire company of construction workers who are armed with skills are hired to build a certain infrastructure by a local firm. It will take months or even years for the structure to be completed hence the workers will have a stable job for its entire duration. Upon that point, the workers can provide well therefore boosting the economic trades within the local area. The firm itself also greatly affects the economy. More and more investments are being signed once the industry flourishes hence more jobs for the workers. This cycle will continue as long as the quality of work and the result of the project is marked without mediocrity. In short, the more projects that come, the more workers get paid. When workers get paid, they provide a steady income which later on boosts the economy of the country. Once the economy flourishes, more projects become readily available and the cycle never ceases to stop. This is why many people often see a lot of residential houses being built in key cities such as Manila, Cebu, Davao, and Cagayan de Oro as of late. The construction industry is flourishing all over the country. With the help of cheap materials and readily available manpower, the country has what it takes to strengthen the construction industry. This is also why you often see many companies opting to build residential sites since the construction industry is on the rise.